It’s holiday time again and already you may be beginning to wonder ‘How am I ever going to fit in any work?’. 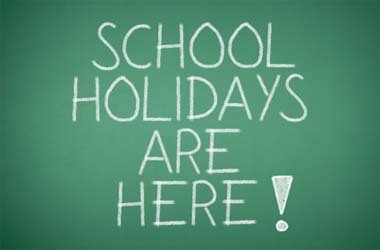 Most of us are self-employed because of the flexibility this affords us to be able to be with the children during their school holidays. But how do you keep everything ticking along? Nobody said it was going to be easy….but mums are incredibly clever at multi-tasking and time management, and work at home mums even more so. Try not to feel guilty about finding time to do some work in the school holidays – you are still spending more time with your children than normal, and it is good for them to know you have to work sometimes, and that it is for the whole family’s benefit in the long run. 1. Family – Grandparents and other relatives are often happy to help – sometimes they are just waiting to be asked. Even if it is a trip to the park, a picnic or going with Gran to do some shopping, children enjoy being with other people. And you’ll be amazed at what YOU can achieve in an uninterrupted hour! 2. Friends – Most parents have friends with children of similar ages. Try and plan some time when you will look after each other’s children – the children enjoy having friends over and sometimes having extra children can be less work as they play together rather than needing you to entertain them. For the parents it frees up small pockets of time to get some phone calls made or other ‘work’ which is harder to do when the children are around. 3. Time Out – Plan ‘quiet time’ into each day at home. If you still have children who nap, excellent. If your children no longer nap there is no reason why 20 – 30minutes playing quietly in their room cannot become a normal part of the day. When everyone is home together without the pre-school/school/nursery routines, some time apart can prevent the family niggles that build up when spending so much time together. This time can be used to check and answer any important emails each day. 4. 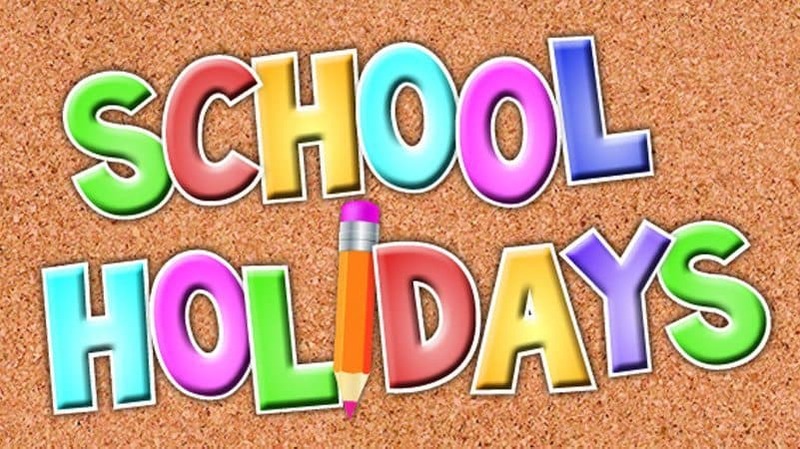 Holiday Clubs – If you can, why not look at local summer holiday clubs – some have very flexible arrangements and even if it is 1 morning a week you will manage to get a huge amount achieved. It is also a good way for the children to play with other children and be entertained in a different environment. Some Local Authorities also run very low cost summer play schemes in parks for older children. 5. Evenings – All WAHM’s are familiar with working in the evenings once the kids are in bed. If you have a supportive partner maybe they can be persuaded to take over the tea, bath & bedtime routine a couple of nights a week – that way you can get some work done – and still spend some evening time with them. 6. Weekends – Weekends are great for family time, but also a great time to steal a couple of quiet hours to keep the business ticking over. If you have somewhere quiet to work at home that helps. If not, persuading the rest of the family to go to the park for an hour or two will help your concentration. 7. Planning/Lists – take a notebook with you whenever you take the kids out. Any spare time you have while they play can be turned into a great ‘list making/planning’ opportunity. You can keep one eye on them whilst jotting down ideas and things that need to be done later. 8. TV – Whilst we are not advocating your children spend the entire holiday watching it, it can be a valuable tool for the WAHM. If your children will sit and watch favourite programs or a DVD then use that time to your advantage. 9. Organisation – Be ultra organised – have a clear idea of what is a priority and what the minimum amount is to achieve. Use time without children around to make phone calls and do tasks that require full concentration. Use other times to work on the computer and send emails as it doesn’t matter if you get interrupted. Keep a list and enjoy ticking things off, you will be amazed at what you can achieve. 10. Take a break! – Have a summer holiday yourself – you are entitled and you certainly deserve it! If you were employed then it is likely you would be taking a break at some point. Don’t forget the reason for working at home is to be with the children and enjoy the holiday times. Hopefully some of the above tips will help keep your productivity levels up this holiday – as well as your sanity! And if you have any good tips to share – don’t be shy – leave a comment! Good list. We are using No. 1 a lot – Rosemary is spending every morning at my mum’s, so we can work, then we’re taking afternoons in turns. And we will be using Number 5 a fair bit too, especially as she’s usually asleep by 6pm/6.30pm, which gives at least 4 hours’ working time in the evening for eachh of us. My main problem in the holidays is that Rosemary really needs to spend time in the company of other children – she thrives on it and too much concentrated adult one-on-one time just makes her ratty. We have found one drop-in (parent/carer has to come along), but that’s about it. None of the holiday clubs cater for younger children – only those over four. We have the number of one local friend from playgroup, so will meet up with her and my mum is going to take her to the park and/or soft-play places for more peer interaction. The holidays are a difficult one for everyone, but at least we have the flexibility to work in evenings and the like, where parents who go out to work don’t. I love having my DD off school. We get to have long lazy days and no need to get up early. She on the other hand loves the company of her friends so constantly is asking if someone can sleep over. Day 2 and already we have been swimming with one friend, then a sleepover at ours and taking them both to see the new Harry Potter film with another. Visit to grandparent tomorrow, then know doubt another friend to sleep over tomorrow night.